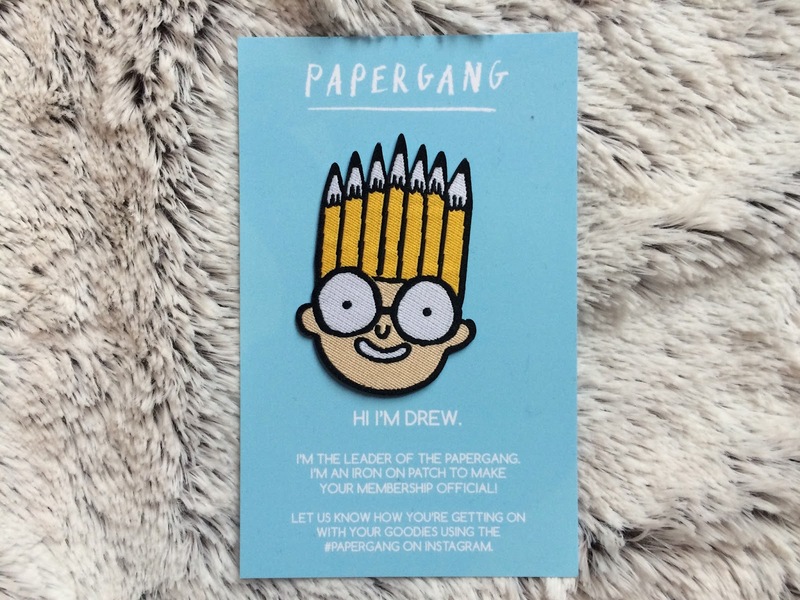 Sitting on top of the package was this little cutie - Drew is an iron-on patch and also flippin' adorable. I can't even decide where I'm gonna put him. Look at his little face!! 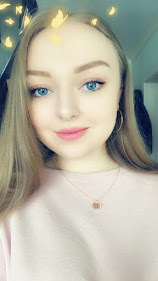 Anyway, moving on... This box was full of really nice prints and cards that I think I'm gonna frame and put around my new house! 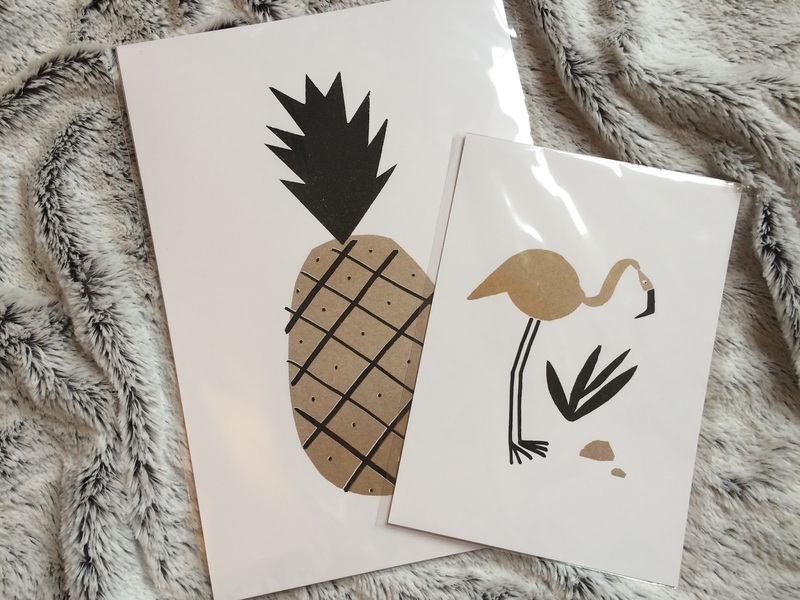 This A4 pineapple print is my favourite I think! I have a serious lack of artwork in my flat at the moment! 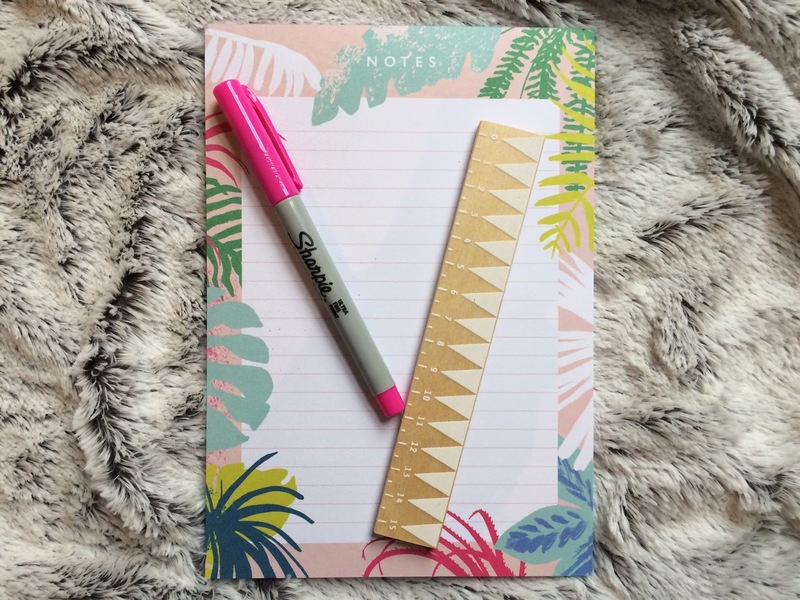 The A5 flamingo is too cute (and goes great with my flamingo print phone and iPad cases!) I've got these up on my wall already but I think they'll look even better when they're framed. These little cards are super sweet; I may save them for a birthday or something but really I'm selfish and want to keep them all. 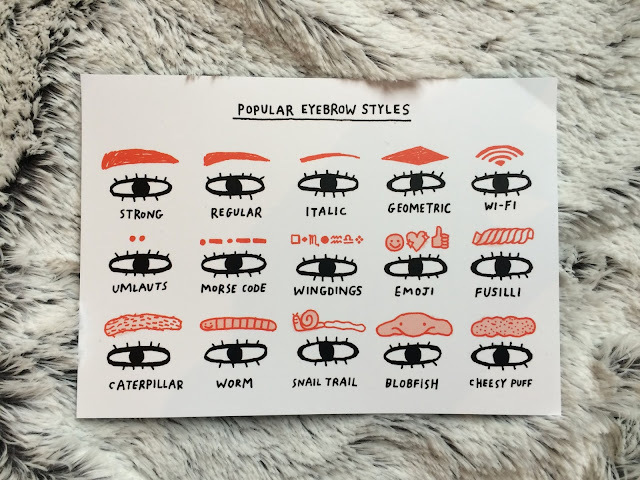 I am especially chuffed there's one from Gemma Correll in here, because I am such a fan of her drawings! 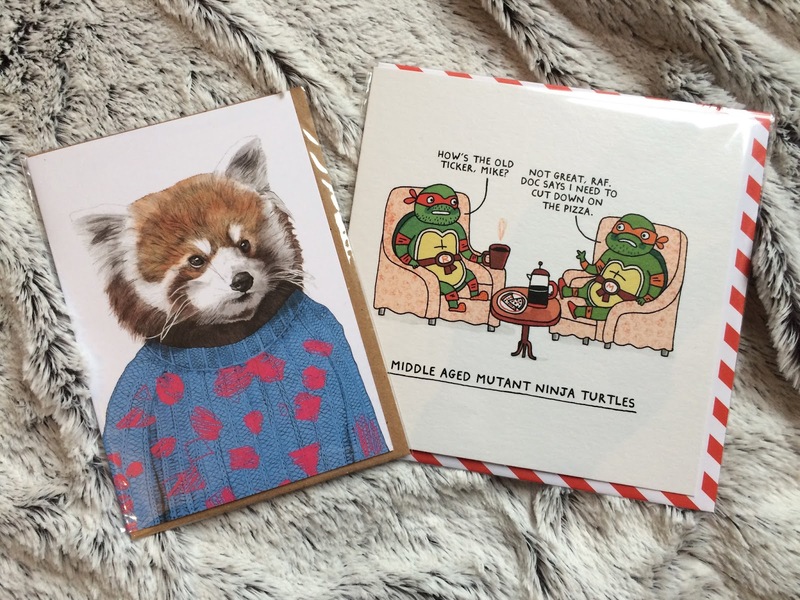 There's something I really like about greetings cards that don't have an occasion... Might just send the cute lil raccoon (it's a raccoon right?) in his knitted jumper to my mate with no message inside, for the lols. On the stationery side of things, I received this beautiful little notepad that I keep holding and touching because God I love the feeling of a fresh notepad. Is that weird? Do I care? I can't wait to write lists on this baby. Finally there's a handy little wooden ruler thrown in there which is just as cute as the other stuff. Also a weird necessity that I didn't seem to own before. Now I will be the queen of straight lines! I'm so happy with this box and the packaging was very nice too. 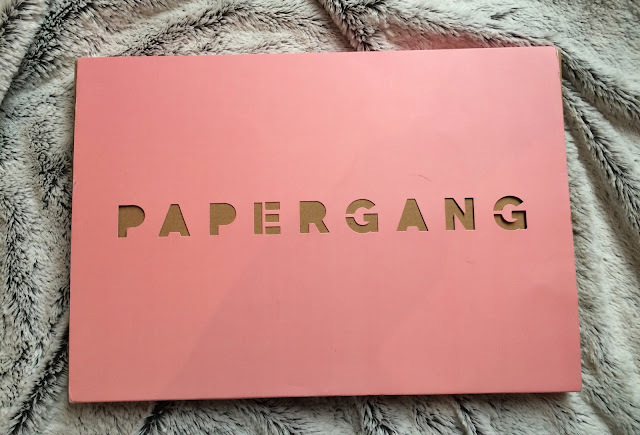 Royal Mail ruined mine and it was a bit bumped around but still, pink is my favourite colour so how could I not be impressed?! On the other side there is a cut-out project to make your own deer which I thought was a nice touch. Again, thanks Royal Mail for sticking your STICKERS OVER THE TOP. So rude. 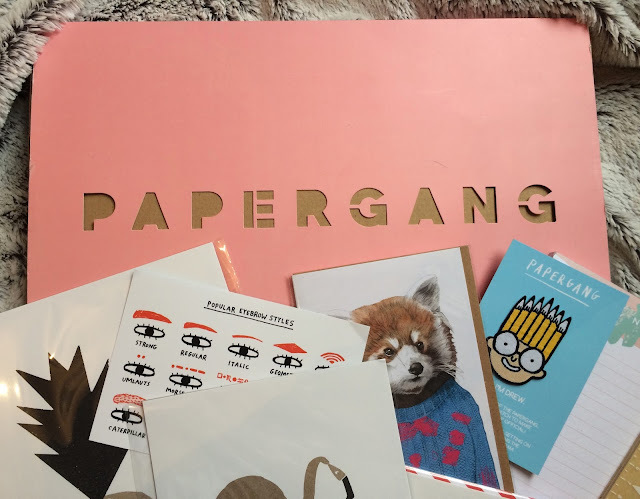 If you want to sign up for this or have a look at what it's all about, head over to www.papergang.ohhdeer.com! I'm partial to an emoji, but I think I'm deffo a wingdings gal.